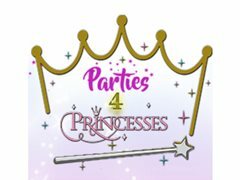 Looking for reliable female children’s party entertainers based in the South East area - Kent/Essex/ South East London to join our team at Parties 4 Princesses. Must have some experience working with children. Previous experience working as a children’s entertainers is preferred but not essential. Looking for performers with a theatrical background, Actors/Singers/Dancers. Great Rates of Pay from £80 - £100 for 1-2 hour parties.